New York Times printed Yoshio Shimoji's letter to protest the U.S. and Japanese Governments' decision to go back to the 2006 agreement to build a new base in Henoko. The letter was reported in the May 30 edition of Ryukyu Shimpo, which is pasted below. Obviously, in this squabbling, the Hatoyama administration succumbed to the Obama administration’s all-out pressure to stick to a 2006 bilateral agreement. Mr. Hatoyama had raised Okinawans’ expectations during the last election campaign by saying that Futenma’s functions must be moved away from Okinawa. The Obama administration should remember, however, that its victory is self-defeating as well because it contradicts the principle of democracy that Washington advocates in dealing with “undemocratic” and “unenlightened” nations. The overwhelming majority of Okinawans are opposed to any plan to keep the base on Okinawa, as Washington is fully aware. How dare Mr. Obama ask Mr. Hatoyama to act without regard to the wishes of his compatriots? 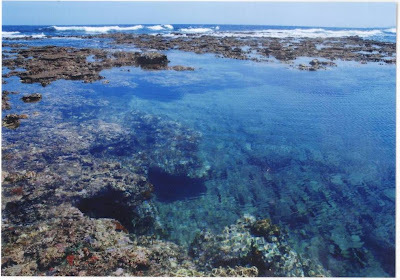 84% of Okinawans oppose a new base construction in Henoko. 15% think they are needed. and 14% think it should be abolished. 7% think it should be maintained. Okinawans' anger and oppposition to the new base plan are accelerating. See HERE for the previous post of the list of material available in English on the questions about the sinking of the South Korean warship Cheonan, and letters by a civil society group in Korea and a Presbyterian Church in Korea. ******A Bloomberg news reports polls says one out of four South Koreans don't believe the report of the multinational investiation team, and there seems to be great generational (perhaps digital) divides. ******Finally, we have another Japanese voice about this issue. Yoichi Shimatsu, former editor of the Japan Times and an environmental consultant and a commentator on Asian affairs for CCTV-9 Dialogue, suspects an American "rising mine" from the USNS Salvor, which "happened to be yet right near Byeongyang Island at the time of the Cheonan sinking and far from its home base, Pearl Harbor." Did an American mine sink South Korean Ship? The article refers to the "four US Navy ships that happened to be there to participate in the Foal Eagle Exerciise," one of which was USNS Salvor, and regarding the cause of the incident, "consensus among military analysts is this seems unlikely as the type of torpedo that the North Korean navy possesses could not have been used in waters only 82-feet deep. Their submarines would find it difficult to operate under normal conditions in such shallow water and near impossible in these severe currents." ******RT interview with journalist Wayne Madson, an investigative journalist based in Washington, D.C.
"Was the destruction of the South Korean warship Cheonan a provocation? Can it be compared to the Gulf of Tonkin? RT contributor Wayne Madsen says that the sinking of the warship was really intended to convince Japan not to move US forces off Okinawa as well as divert the attention of Americans from the dire economic situation at home. " and in May 26 follow-up article, he challenges the finding of the "international investigation team," or a all-U.S.-allies team of experts from South Korea, U.S., Australia, Sweden and Canada, also citing CBS news reporting Sweden was a reluctant partner in blaming North Korea. ****** As quoted in the above article, Financial Times on May 19 reported South Korean's mistrust of its own government's handling of the incident and suspicion of possible cover-up. The loss of the warship has also exposed South Koreans’ mistrust of whatever the government says and a historic sense of fraternity with the North, feelings that can override strategic dangers. “The government seems to be hiding something. If not, why did it take so long to announce the conclusion?” said Bae Sung-hoon, a 37-year-old office worker. Large public demonstrations are predominantly drummed up by the political left, which is instinctively sceptical of the government of President Lee Myung-bak. 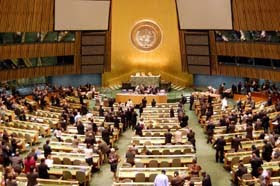 Pyongyang has denied involvement. Polls indicating whether South Koreans believe that North Korea was responsible for the warship’s sinking diverge from 40 per cent to 80 per cent. Many ordinary South Koreans say that their government is merely seeking a convenient scapegoat for what was a mistake on the part of the South’s navy, or what was a “friendly fire” incident involving the US military. ******* Hankyoreh reports that China "had proposed to the U.S. to conduct a joint investigation with the participation of the UN Command, China and North Korea." Little has been reported in English on the growing suspicion about the outcome of the investigation of the sinking of South Korean warship Cheonan during the joint military exercise of South Korea and the U.S., and more people demand for more thorough and scientific re-investigation. We will try to list what is available. Please see Part II too. ******This one by Stephen Gowan, a Canadian writer and activist is a must-read, full of credible quotes by South Korean officials denying the North's involvement and linking it to Japan-US military buildup in Okinawa and US arms sales to South Korean military. "...a North Korean submarine is now said to have fired a torpedo which sank the Cheonan, but in the immediate aftermath of the sinking the South Korean navy detected no North Korean naval vessels, including submarines, in the area. Indeed, immediately following the incident defense minister Lee ruled out a North Korean torpedo attack, noting that a torpedo would have been spotted, and no torpedo had been spotted." (3) The 'Grounding on a sand' made some damages and led flooding but itself didn't make those serious situation torn down in two. "Most activists in South Korea have been, and remain, suspicious about the official story surrounding the sinking of their Navy ship. At the time of the incident the U.S. and South Korea were having one of their annual provocative war games where they practice an invasion of North Korea. One has to remember that the U.S. has a modus operandi when it comes to using sunk boats to justify war - "Remember the Maine" that was the prelude to the Spanish-American War and the more contemporary Gulf of Tonkin Resolution that was the kick-off to the Vietnam War. Some are already speculating that the South Korean sinking was timed before their June 2 elections and/or timed to ensure that Japan's new government reneges on its promise to close a U.S. military base in Okinawa. I'm sure there are other good theories on this as well." ****** Japan's international affairs analyst Tanaka Sakai suspects a U.S. vessel involved. Tanaka's article has been translated and posted on Japan Focus:Asia-Pacific Journal. ****** Historian Bruce Cumings urges us to look at this incident in a larger context in Democracy Now! ****** In CNN, University of Georgia Professor Han Park argues hardliner reactions are counterproductive calls for re-investigation and talks. ****** Selig Harrison in Hankyoreh, Korea's national daily newspaper. ****** A Russian perspective on the issue. This article, in "38 North," specializing in DPRK analysis (hosted by SAIS, Johns Hopkins University), presents a sensible list of questions to be answered before we reach any conclusion. "...The Russian position thus far has been to “wait and see,” most likely intending to follow China’s lead. If this issue is brought before the UN Security Council, Russia will probably demand ironclad proof of North Korean culpability and will likely abstain at best if this proof is not provided. " ******Here are Scott Creighton's "5-point flaws" of the report of the "international investigation team." Below is the Korean civil society's statement, issued on May 26, 2010. We, Korean civil society, gather here today to resolve the crisis and conflicts caused by the Cheonan warship incident and to take a major step forward toward our goals of democracy, co-existence, and peace. Since the South Korean Cheonan navy warship rather mysteriously sank on Mach 26th, our society has grieved the tragic incident together, tried to clarify the cause, and endeavored to provide comprehensive countermeasures in order to prevent its recurrence. However, a handful of governmental and military officials have tightly controlled the relevant information under the guise of “national security” and “military secrets,” thereby obstructing these voluntary acts of concerned citizens who seek to find out the truth about the warship incident. Despite the fact that the Lee Myung-bak administration kept warning about coming to a premature conclusion, the Administration released reports that contained a number of unexplained hypotheses, and raised many questions before the necessary investigations were completed. The investigation was conducted by the self-interested military, which whitewashed its role and should have been reprimanded. In addition, without allowing enough time for the public and the National Assembly to review the investigation, the Lee administration precipitously and unilaterally announced dangerous military, economic and diplomatic countermeasures against North Korea without reaching a national consensus. These are the types of measures that make ineffective the “peaceful crisis-management system,” which has been gradually established since the “July 7 Declaration” by the Roh Tae-woo administration. Do you think that such impetuous and dogmatic measures by the Lee administration are helping to resolve the situation? Instead, those actions are shaking the very foundation of the peace and prosperity processes, which would secure the future of the Korean Peninsula. Amid the international economic crisis, our economy was, arguably, slowly recovering but now it is faltering again. Efforts like the Six-Party-Talks and the denuclearization of North Korea are patently missing in the Lee administration’s enforcements of military and economic countermeasures against North Korea. Did you witness such military tension when peace and engagement policies were consistently pursued in the past? Now we are at crossroads and need to decide whether to go back to the adventurism of the Cold War era, where the national security issue was abused for power politics and blinded people to the truth. Compare this reckless approach to a future-oriented peaceful realism, which emphasizes the democratic process, checks and balances on the abuses of administrative and military power, and seeks ways for peace and co-existence rather than provocative slogans. In this regard, we shall express our opinions. First, both North and South Korea should immediately stop the military confrontation, which will bring the Korean Peninsula to a war and economic crisis. The South should withdraw its series of dangerous military measures and economic sanctions against North Korea, which were promulgated and enforced without any public debate, National Assembly discussions, or diplomacy with concerned countries. In addition, the North also should refrain from provocative rhetoric and radical military actions but instead cooperate with a rational process of uncovering the truth about the warship case. Second, we call on the South Korean government to take additional measures to clarify the facts of the case, which should be able to answer a number of remaining questions regarding the sinking of the Cheonan warship. Third, both the South Korean government and the media should not manipulate this case to further their vested interests in the upcoming election, which is directly connected to the welfare of the Korean people. The government and the majority party should explain why it was necessary to prematurely release the results of the investigation, as well as to also announce reckless military countermeasures. In addition, we urge the government to immediately stop abusing its immense political and legal powers in order to pressure the voters who only raise rational questions about the government’s report and actions. The crisis on the Korean Peninsula took place without our intentions, but we should be responsible to clarify the real cause and seek ways to resolve this problem in an appropriate way. It is directly related to our future democracy and peace. It is time to call upon your wisdom and courage to achieve peace. At 3pm, on May 29, let us show our will to uncover the truth and accomplish real peace on the Korean Peninsula. Starting today, each night, let’s begin to light up candles for peace on the Peninsula. On June 2, Election Day, we will judge the current situation of the country and this period with a sense of civic duty and open up the future path toward democracy, co-existence, and peace for ourselves. We, PROK, who have been praying for democracy, peace, and life of Korean society, raise some points responding to the JIG's announcement of the conclusion of its investigation that says South Korean Navy ship Cheonan sank by a North Korean submarine attack with a heavy torpedo. First of all, we point out that JIG's investigation cannot be fair and objective from the beginning. The Ministry of National Defense and the military, which are the most responsible for the incident took control over the whole investigation. They also made a hasty announcement to meet the first day of the campaign for the coming election on June 2, which left suspicions about the background. If there is any intention to take advantage of 46 young sailors' deaths for any political purpose, it will kill them again. JIG's announcement did not explain anything but left so many questions among Korean people. Now we are asking the following questions. 1. We cannot understand why the crucial moment of sinking is missing from the footage (TOD). The JIG must also release the records of radio messages exchanged and Cheonan's CCTV recordings. 3. There were 13 Korean and US up-to-date ships at the West Sea near the scene. They were conducting a joint military drill at that time. Among those 13 ships are Cheonan, a warship to detect and fight with the submarines, torpedoes, airplanes, and missiles, and another warship Aegis specialized in dealing with submarines. Why couldn't any of the super modern ships detect the attack of the North Korean submarines or torpedo? According to JIG's announcement, a North Korean submarine attacked Cheonan with a heavy torpedo and escaped without being detected at all. It means President Lee who is in charge of national security should take full responsibility for what happened and apologize to Korean people. The minister of defense, the joint chief of staff, and the naval chief of staff should do the same thing. JIG's announcement did not answer any of the questions but left more suspicions. Now is the time for the Korean leaders to stop shifting responsibilities but taking them. They have to organize a new investigation group including civilian experts and opposition parties to find the whole truth answering all the questions above. On May 20, 2010, TV Asahi’s nightly news program “Hodo Station” broadcast a 20-minute special by anchor Furutachi Ichiro on the US Marine Corps bases in Okinawa. The previous day Furutachi and his staff flew around those bases by helicopter, from the south to the north of Okinawa Island, then to Iejima and Torishima, two islands west of the main island. They provide rare bird’s-eye views of the bases, despite restrictions on how close civilian aircraft can fly. This is supplemented by rare footage of Marine training and action from Okinawa and Japan to Vietnam and Iraq. About 20% of Okinawa Island is occupied by bases exclusively for U.S. military use, 77% (15 bases and facilities) of which are managed by the Marines. Furutachi flew from Makiminato Service Area (Camp Kinser) just north of Naha, a logistic service base that supplied everything “from toilet paper to missiles” during the Vietnam War, then to Futenma Air Station in Ginowan City and Camp Schwab in the northern city of Nago, the two bases that have been the centre of media attention, with a replacement facility of the former planned to be built near the latter. Furutachi guides viewers beyond the often-reported Cape Henoko, proposed site of the new base jutting into the bay, to the mountainous inland area of Camp Schwab, where Marines conduct jungle training, drawing attention to several rectangular buildings described as ammunition depots. Map from the website of Okinawa Prefecture. Torishima, which is not shown on this map, is about 60 miles west of the Okinawa Island. The last two stops of Furutachi’s helicopter tour are the islands of Iejima and Torishima. Iejima’s Marine air station is used for parachute drop training and take-off and landing training. Torishima serves as an aircraft firing range for both Air Force and Marines. The island, once covered with rich forests, is now completely disfigured. After testing depleted uranium weapons on Torishima in the mid-90’s, the Marines have recently assaulted it with cluster bombs. 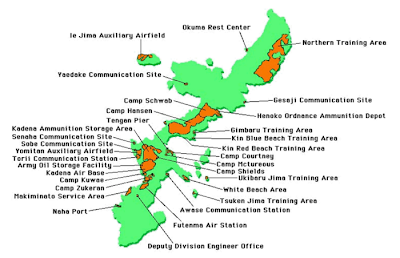 The significance of Furutachi’s report is in the detailed visual exposure of the training fields and live-fire ranges that have rarely been subject to scrutiny in Japan, the United States or internationally, in contrast to such visible emblems of the U.S. military presence in Okinawa as air stations and beaches. Furutachi and other commentators were stunned to encounter the reality of simulated battlefields, beyond the dry statistics of bases that comprise “20% of the island”, a figure that the media repeat ad infinitum. Norimatsu Satoko prepared this introduction for The Asia-Pacific Journal and for the Peace Philosophy Centre. She leads various peace initiatives in Vancouver and beyond, including, Peace Philosophy Centre and Vancouver Save Article 9. Recommended citation: Furutachi Ichiro and Norimatsu Satoko, "US Marine Training on Okinawa and Its Global Mission: a Birds-Eye View of Bases From the Air," The Asia-Pacific Journal, 22-1-10, May 31, 2010. This article appeared on Japan Focus on May 26, 2010. Asia-Pacific Journal: Japan Focus is the best source for in-depth critical analysis of the Asia-Pacific issues. Japan Focus is the recipient of The Ryukyu Shimpo's first Ikemiyagi Syuui Prize. The award recognizes that "Japan Focus has made an outstanding worldwide contribution to proposing solutions to problems confronting Okinawa." Filmmaker Linda Hoaglund, whose new film "ANPO" will be released soon, will be speaking at this symposium "Remembering the 1960 ANPO Struggle" at Yasuda Auditorium at Tokyo University on June 15. Chair of the symposium will be sociologist Ueno Chizuko, and the other panelists are non-fiction writer Hosaka Masayasu, sociologist Oguma Eiji, and singer Kato Tokiko will be there as a special guest. * A trailor of film ANPO is available for viewing on the film's website. TokyoProgressive's Paul Arenson, in his letter to Japan Times, points out the media's general reluctance to cover material that touches upon the "taboo" of questioning the Japan-US Security Treaty. During my 31 years in Japan I have appreciated the Japan Times' coverage of social issues such as discrimination against ethic and social minorities, which the vernacular papers give only passing mention to. Why then on the issue of the Okinawan bases, does the Japan Times, like the other media, choose to limit discussion chiefly to whether the Prime Minister's flip-flops are hurting the US-Japan alliance? While vague reference is made to the suffering of Okinawans, your editorials and news coverage exclude those experts who are unafraid to breach the taboo of questioning the Japan-US Security treaty. The result of this information blackout can be seen in the lack of critical thinking displayed by young people in "Voices from the Street: Should Japan continue to host American military bases? "(Tuesday May 11, 2010). As long as some of the facts are withheld, it is only natural that people will continue to believe that despite the "nuisances," US forces are needed to secure Japan's peace and, incredulously, to preserve Article 9 of the Constitution. Few are aware, for example, that US forces violently seized the land for Okinawan bases, and that these bases were the staging areas for missions which killed millions in Vietnam, Iraq, and Afghanistan. Few equate the Okinawa base issue with the fact that the very nation which rained death upon Hiroshima and Nagasaki continues to wage global imperial war, enrich weapons manufacturers and encourage an arms race which makes a mockery of experts' claim that the US presence helps to preserve the peace. Even in South Korea, there are many voices who say a decreased US military presence would increase security, and bloody battles have been fought between anti-base protesters and police there. All, of course, unreported in the Japanese media. Secret agreements have forced Japan to pay a "sympathy budget" of 2,274 million yearly to maintain its unequal status as a client state in the permanent and discredited American war on terror while politicians and pundits continue to peddle the fiction of an equal relationship that preserves the peace. Tama University president Jitsuro Terashima notes that mainstream Japanese intellectuals, who command the bulk of media attention, remain "slave-faced" (do-gan) toward a bullying colonial master. Most worrying to experts such as Professor Gavan McCormack is that, given the unbalanced media coverage which helps to manufacture consent for maintaining the status quo, Hatoyama may well be forced by U.S pressure to adopt something akin to martial law in defiance of Okinawans and anti-base protesters. The Japan Times should be less concerned with Hatoyama's flip flops and ask what the consequences of that would be for Japanese democracy. Paul Arenson has been living in Japan since 1979 where he has been involved in citizens movements fighting for social and economic justice and against militarism. 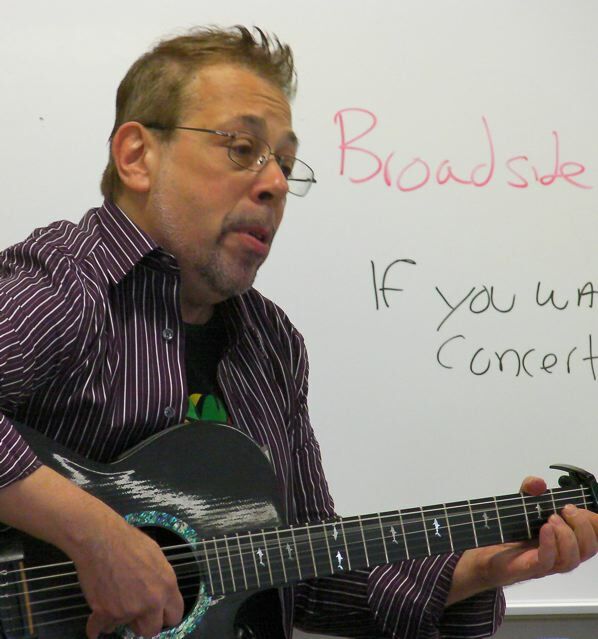 He is also a songwriter. On his days off he assists his wife's NGO in providing street people in Tokyo's Sanya's district with some shelter from the elements, a cup of tea, a place to bathe, some new clothes, and a little mental & physical space to rejuvenate themselves. military base on the island. Prime Minister Hatoyama held a press conference concluding his day visit to Okinawa, in which he formally announced that the government is planning to build a replacement base in Henoko (see news report below). The press conference was held at Tsushima-maru Memorial Museum, which commemorates the 1,418 victims of Tsushima-maru, the Japanese cargo/passenger ship that was attacked by USS Bowfin on the way from Okinawa to Kagoshima on August 22, 1944. More than a half of the victims were school children who were evacuating Okinawa, as the island was expected to be the next battlefield after the fall of Saipan in July 1944. Here is a part of the poem on the website of the Museum "To You, Who Live Now." when Okinawa was becoming a battle ground. our ship was torpedoed by an American submarine and sank. We were thrown into the sea and the majority lost their lives. We are still at the bottom of the sea which entombs us. Why did we have to die? What did Hatoyama, who spoke about his "policies for protecting life（命を守る政治）" at the Diet opening session in January, say yesterday in the presence of the spirits the dead children of Tsushima-maru? "I have put my heart and soul into the consideration of this issue among the reality of security concerns. I try to understand the feelings that Okinawan people have had for all these years amid this history. I also want to seek understanding of Okinawan people. I am aware of the weight of my word 'kengai' (the pre-election pledge to move Futenma outside of the prefecture) which gave hope to Okinawans. I know there is criticism that our plan has gone back to the previous LDP plan. About that, I would like to sincerely apologize. It will be different from the existing plan, but the plan has to be off the shore of Henoko. I want to explain to the people of Okinawa so that they understand. I also understand the concern that measures for reduction of base burden should be separate from the relocation issue. The previous administration could not carry through these measures. I would like you to think of them (relocation and burden reduction) as a package. We are actively engaging the United States in negotiations. " In a nutshell, Hatoyama said, "I am sorry I broke my promise, but we are building a base in Henoko. The government will provide subsidies as compensation. In return of the new base, the government will negotiate with the U.S. some measures for easing the burden of Okinawans." DPJ/Obama alliance is about to do what LDP/Bush and all the other past Japan/US leaders have always done in the post-war period of Okinawa: to perpetuate the US military bases in Okinawa and their harms. Okinawa's hope for finally starting to reduce the bases under the new administration is now officially severed. Considering the overwhelming popular opposition within Okinawa, Hatoyama's visit is a declaration of war from the two governments against Okinawans. Shorly after the Nago mayoral election, a government official was reported as saying that building a base in Henoko, where protesters' persistence has prevailed for more than a decade, would duplicate the experience of Narita. The Narita Airport struggle, which arose from the compulsory expropriation of local farmers' land, resulted in the loss of three police officers and hundreds injured and arrested. Is another bloody battle of Okinawa our answer to the message from Tsushimamaru children entombed at the sea bottom? Is another base over the pristine ocean of Henoko? The two governments must withdraw from the plan to build another base in Okinawa. Amid the depressing situation, I was encouraged by this remark by Mark Selden, coordinator of Japan Focus. "It seems to me that an important part of our work is to make clear that, even as DPJ moves to embrace the original Henoko plan, and as it finds ways to buy a measure of local support, strong opposition remains, and it is that opposition that has stymied the base plan for many years. It can continue to do so, particularly if we can build international support for it in the context of recognizing both the heavy burden that Okinawa has borne, and a wider anti-base campaign." Prime Minister Yukio Hatoyama unveiled Sunday for the first time his government’s plan to relocate a U.S. Marine base within Okinawa and apologized for his failure to make good on his earlier vow to move the military facility outside the prefecture. ‘‘We came to the conclusion that we have to ask local residents to accept the base relocation to an area near the Henoko district’’ in Nago, Okinawa, the premier told Okinawa Gov Hirokazu Nakaima in their second meeting this month, open to the press, at the Okinawa prefectural government office. He said the relocation within the prefecture was a ‘‘heartbreaking’’ decision to achieve the return of land occupied by the U.S. Marine Corps’ Futenma Air Station to locals and extended his ‘‘heartfelt apology for causing much confusion’’ among Okinawans in the process of reaching that conclusion. Nakaima expressed his ‘‘extreme regret’’ over the government’s decision and said he considers it ‘‘extremely difficult’’ to go ahead with the plan, because expectations had been growing among local residents that Hatoyama would try to transfer functions of Futenma out of the prefecture. ‘‘The gap between people’s expectations (and the latest government decision) is huge. I expect the premier to take time to offer further explanations and work out a solution that would satisfy us,’’ the governor told Hatoyama. Nakaima also told reporters later he feels the premier has ‘‘betrayed’’ Okinawa residents. In the meeting, Hatoyama also said he will ask other Japanese prefectures at a meeting of governors Thursday to accept some of the U.S. military drills currently conducted in Okinawa. The premier said the government has given up on the plan to transfer Futenma’s heliport functions out of Okinawa due to ‘‘remaining uncertainties in East Asia,’’ especially on the Korean Peninsula. ‘‘As prime minister, I have to say we cannot allow the situation in which deterrence provided by the U.S. forces in Japan will diminish,’’ he said. Hatoyama later told reporters the government will try to continue negotiations with the United States to implement measures to ease base-hosting burdens on Okinawa beyond his self-imposed deadline of May 31 for settling the issue. The talks were held during Hatoyama’s second visit this month to Okinawa in a last-minute attempt to gain the understanding of local people before May 31. He last visited the prefecture on May 4. Japan and the United States broadly agreed Saturday on a fresh accord expected to be announced May 28 which effectively states the Futenma facility in the populous city of Ginowan will be moved to land to be created through filling in the sea near the Marines’ Camp Schwab at Cape Henoko in Nago, sources close to the matter said. The fresh agreement is effectively on par with an existing relocation plan under a 2006 Japan-U.S. accord. Nakaima told reporters of his displeasure at the government’s attitude in offering explanations to Okinawa after reaching an accord with Washington. Later in the day, Hatoyama held talks with local business representatives to discuss the base relocation and measures to invigorate the local economy. In Fukuoka, Mizuho Fukushima, leader of the Social Democratic Party, told reporters she is against the plan unveiled by the premier to move the Futemma facility to Nago. The SDP is a coalition partner of the ruling Democratic Party of Japan led by Hatoyama. Okinawa hosts about 75% of the land area used for U.S. military facilities in Japan and half of the roughly 50,000 U.S. service personnel in the country. Before coming to power, the premier had pledged during an election campaign last summer that he would seek to move Futenma functions out of Okinawa altogether to ease the prefecture’s base-hosting burdens, such as noise pollution and risks of accidents and crimes associated with the U.S. military presence. Sunday’s decision is likely to further erode his grip on power. Hatoyama has seen his popularity ratings plunge in recent months?as voters increasingly are disenchanted with his failure to act on a number of campaign pledges, including the Futenma issue as well as promises for toll-free highways and cash payments for babies. His biggest political ally, Ichiro Ozawa, the head of Hatoyama’s Democratic Party, has been the target of allegations involving campaign fund abuse, although Ozawa has denied any wrongdoing and Japanese prosecutors have repeatedly said that they will not charge him. But the failure to appease the people of Okinawa is likely to be Hatoyama’s biggest problem as Japan heads into nationwide elections, which must be held sometime in July or close to that time. Foreign Minister Katsuya Okada said that he discussed Futenma plans with U.S. Secretary of State Hillary Rodham Clinton, while she was in Tokyo on Friday. The joint statement of Iha Yoichi, Mayor of Ginowan City, host of Futenma Air Station and Inamine Susume, Mayor of Nago City, where the government eyes on as "relocation" site of Futenma, together issued a statement on May 16, the day 17,000 citizens gathered to form a human chain around the base to show solidarity to call for unconditional return of Futenma. An English translation follows the statement in Japanese. Over fourteen years have passed since the Special Action Committee on Okinawa (SACO) agreement was concluded by the United States and Japanese Governments. In this agreement, both governments promised to return the entire land of the US Marine Corps Futenma Air Station, located in the middle of heavily populated Ginowan City, within five to seven years. However, both governments have failed to implement the agreement, and as a result, Futenma Air Station still remains within the city as it was fourteen years ago. The initial goal of the SACO agreement was to ensure safety of the people of Ginowan by removing the dangerous Futenma Air Station, which produces enormous aircraft noises and poses constant risk of an aircraft crash. This also includes reducing the burden on the people of Okinawa caused by disproportionately concentrated US military bases on this small island. 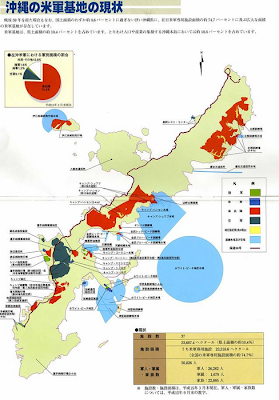 In the SACO final report in December 1996, however, both US and Japanese Governments set terms that the land of the air station should be returned after a removable Futenma replacement facility, with a 1500-meter runway, was constructed within Henoko, Nago City on the east coast of the main island, Okinawa. This decision greatly disappointed the people of Okinawa. 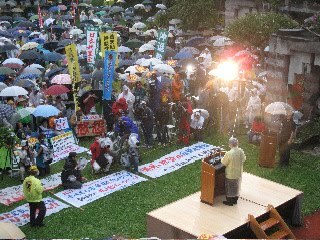 Although Nago citizens expressed their opposition against the relocation of the air base in a referendum in December 1997, the former Liberal Democratic Party(LDP)-led administration divided citizens by using a carrot-and-stick policy, which consisted of offering government subsidies in return for cooperation with the wills of US and Japanese Governments. As a result of the LDP policy, an unhealthy and tense situation developed in the local community. 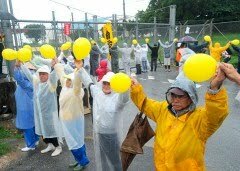 “Ojii and Obaa” (grandfathers and grandmothers) in Henoko, backed by various supporters, have continued a sit-in campaign, against the construction of the Futenma replacement facility, for their children and grandchildren for fourteen years. This prolonged sit-in has effectively blocked progress on the project. In the Nago mayoral election this past January, a candidate, who pledged not to allow the construction of a new US military base either on land or sea, was voted into office. Nago citizens, in this election, showed their strong will to fight against the relocation of Futenma Air Station within Okinawa. A majority of Okinawan people were encouraged and proud of the election result, which paved the way for a unanimous decision by the Okinawa Prefectural Assembly to hold the “4. 25 Kenmin-Taikai” (April 25th prefecture-wide rally) in order for the people of Okinawa to express their unwavering clear opposition against the Futenma base relocation within Okinawa. We have no other recourse than to retrieve the peaceful island life without military bases for our citizens, as well as for the future of Okinawa. To this end, we have decisively concluded that there shouldn’t be any new US military bases constructed within the prefecture. 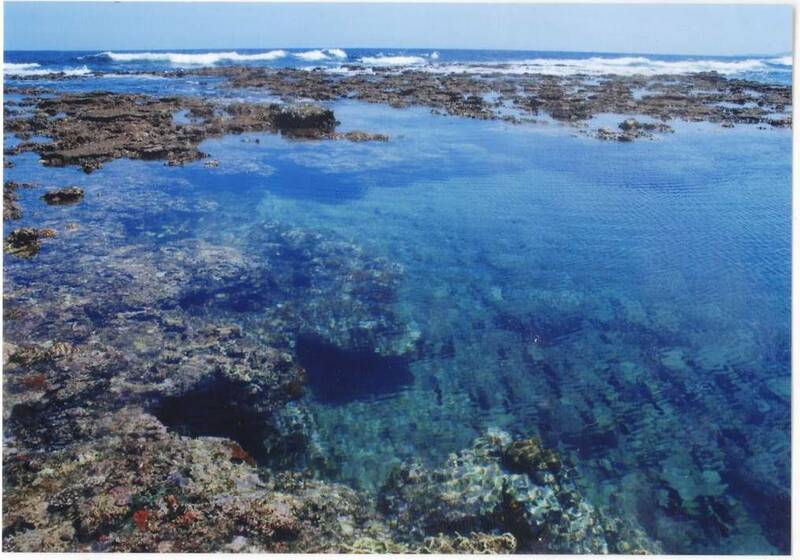 Okinawa is a small island consisting of only 0.6 percent of the total land mass of Japan. Further new construction of military bases shows complete disregard for the human rights of this small community, who have unwillingly hosted the US military for over 60 years. There is also total disregard for the environmental impact which would fatally disrupt the habitat of the endangered Okinawa Dugong in the beautiful ocean surrounding Okinawa. The danger-plagued FAS should be removed without any delay from Ginowan City. Both governments must prioritize safety and security of the people of Okinawa by abandoning the project and not continuing to promote Okinawa as being essential to regional security and a deterrence to regional threats. We will step up for calling for the removal of dangerous military air operations from Futenma Air Station and immediate closure and return of the base. Now, we announce our strong resolution to oppose any plan on the base relocation within Okinawa, including the Hatoyama administration plan currently nearing completion. The Japanese Government should review and see the real picture of the plan on the relocation of 8,000 Marines from Okinawa to Guam, and strongly negotiate with the US Government regarding the immediate and unconditional closure of Futenma Air Station. The Ginowan and Nago City Governments used today’s event to continue working hand-in-hand and cooperate in voicing opposition to the base relocation within Okinawa.